A MAN ARRESTED in relation to serious injuries suffered by an infant at a house in Ardee has been released without charge. Gardaí said that a file has been prepared for the DPP who will decide if there are charges to be brought against the man. The infant is currently in a Dublin hospital where it is understood she is being treated for serious head injuries and a number of broken bones. She received her injuries in an incident at a house on the Bridge Street Road in Ardee, Louth on Monday. 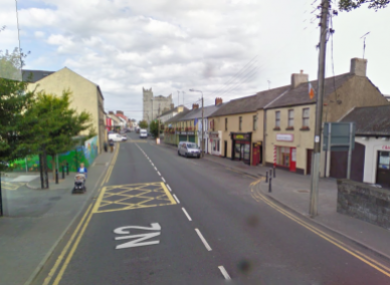 Gardaí are investigating whether the baby suffered them as a result of a fall. Earlier, they had sought to speak to the parents about the circumstances leading up to the baby’s injuries. Searches of the home were carried out by gardaí and CCTV in the area is being examined. Email “Man arrested in relation to an assault on a baby has been released without charge”. Feedback on “Man arrested in relation to an assault on a baby has been released without charge”.